The Indian Space Research Organisation on Sunday said it is aiming for an April launch of the Chandrayaan-2 satellite to the moon, this time it plans to send a rover to explore the lunar surface. "We are aiming for the launch of Chandrayaan-2 in April. 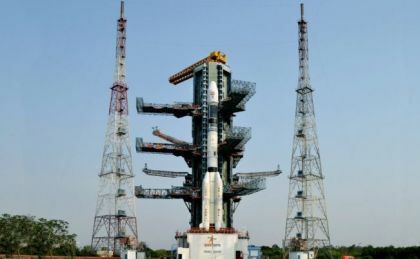 In case we are unable to do so, then we will try for a launch by October," Indian Space Research Organisation chairman K Sivan told reporters in Chennai. The GSAT-6A is a communication satellite which will provide a platform for developing technologies. It would be useful in satellite based mobile communication applications. The IRNSS-1I is the eighth satellite to join the NavIC Navigation satellite constellation, which would be sent to a Sub-Geosynchronous Transfer Orbit on-board PSLV as the previous IRNSS-1H launched on August 31, 2017 had become an 'unsuccessful' mission. In January, the ISRO successfully launched PSLV-C40 carrying Cartosat-2 Series satellite from the spaceport of Sriharikota about 110 km from Chennai.